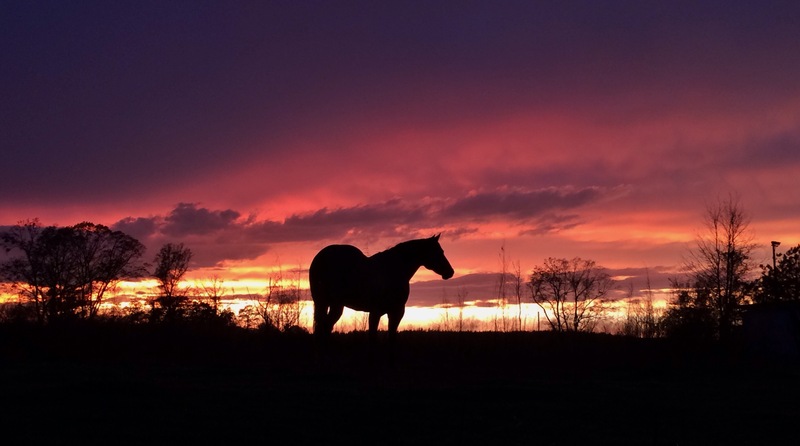 As the sun sank, and the rain lessened to a slow drizzle, I spotted my dad’s horse, Sweet Pea, on the hilltop. This is the place where my father would stand often to watch sunsets. I walked over, Sweet Pea laid her head on my shoulder, and I rubbed her neck as the sun disappeared from our sight.